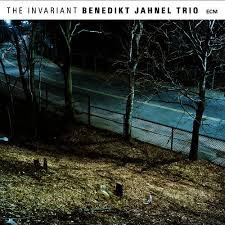 Piano trios seem to be easier to keep going and build a life together than bigger groups - to become, as German pianist Benedikt Jahnel says of his band with Spanish bassist Antonio Miguel and Canadian drummer Owen Howard “a constant in a transformational period”. This year the band will be celebrating its tenth anniversary. The Invariant is a fine celebration in itself. Eight tracks, all written by the pianist, and showing a marvellously bedded-in interplay between the players that helps them achieve that uncanny double effect for the listener of being both three individuals, each with their own musical personality, and yet also being one, united in their communal interpretation and expression of the music. My favourite tracks on this album keep changing. At the moment it’s Mirrors with its dense structure and perfectly controlled transitions through nine-and-a-half minutes. It feels like a classical piece in the thoroughness of the writing and in the romantic roundness and warmth of its theme, yet in performance it naturally acquires that elasticity and sense of change that only jazz musicians can give it. Jahnel is, like quite a few modern musicians, also a scientist - he’s a researcher at the Weierstrass-Institut Berlin and is particularly interested in “interacting particle systems in the context of probability theory”, so it’s perfectly natural to be quite mathematical in his compositions, with odd time metre and other complexities. But the remarkable thing is that for the listener this doesn’t sound like overly complicated music. Jahnel has an acute ear for melody and that sweetens any knotty pill embedded within these eight tracks. Exciting, playful, varied in mood, but with one overriding constant: yes, the invariant is real beauty.